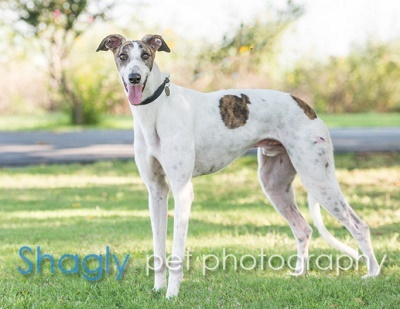 Truitt, aka Aut Truitt, is a 1.5-year-old white & brindle male born October 18, 2014. His sire is Barcelona Boss and his dam is Oshkosh Twitter. Truitt has just one race on record in Florida in 2016, retiring immediately after. He has passed an initial cat test and is living in a home with cats. 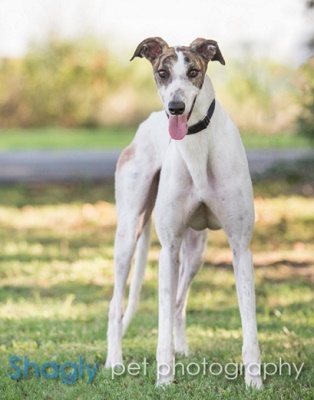 Truitt was part of the Greyt 32 Arrival!